I was walking across a parking lot and saw this perfect leaf in the middle of the cold pavement. As I knelt to photograph it, the wind picked it up and carried it away. In my ever pensive mind, I saw this as an expression of life. Still attached to the tree, hiding amongst the other leaves, I would never have noticed it. 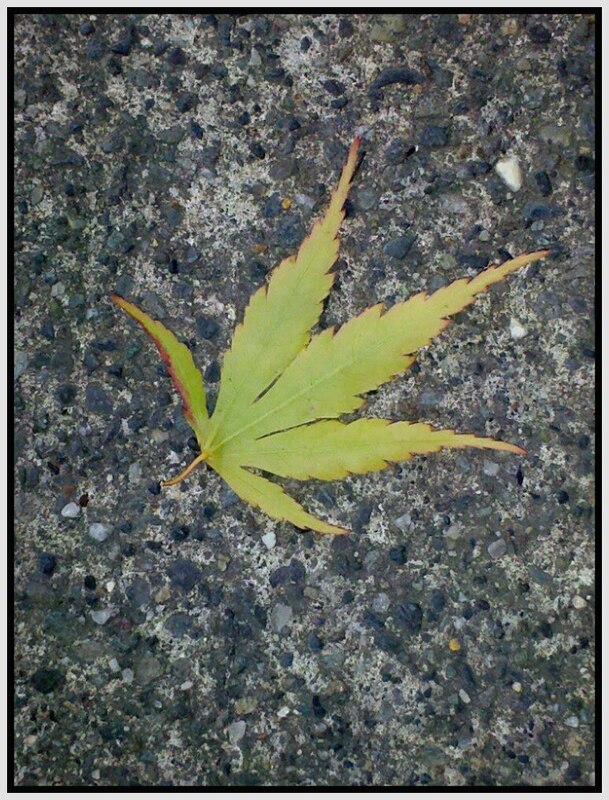 However, the stark contrast between the green of the leaf and ugliness of the pavement made it beautiful, even in its dejected state – something to stop and appreciate.